Section 1. 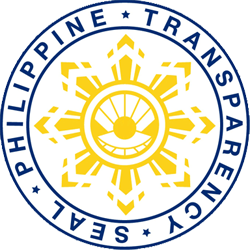 Creation of the Philippine Information Agency (PIA) to be headed by a Director. Section 2. Mission. 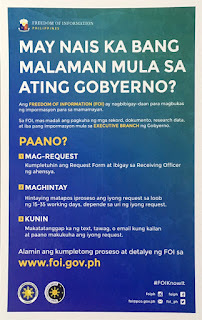 The Philippine Information Agency shall provide for free flow of accurate, timely and relevant information. 1. To assist people in decision-making and identification of opportunities to improve quality of life. 2. To enable citizens to participate meaningfully in the democratic processes. 8. Perform whatever tasks may be assigned by the President. Section 4. Access to Media. The Director shall have access to government media agencies not under his direct control for the purpose of disseminating development-oriented information. Section 5. Organization. The Director shall prepare an organizational structure embodying the staffing requirements of his Office. Section 6. Advisory Council. An advisory council composed of communication professionals and well-respected citizens will advise the Agency in the conduct of its activities to ensure that information needs of the people are met. Section 7. Budget. The PIA is likewise directed to cause the preparation of an operating budget in collaboration with the Ministry of Budget and Management on the details necessary to put into effect the implementation as prescribed by this Executive Order in accordance with the existing laws, rules and regulations. For succeeding budget years, appropriations for the PIA shall be prepared in accordance with the regular government budget procedures. Section 8. Transfer of Records, Assets and Equipment. All records, assets and equipment of the OMA/NMPC/MOI and their bureaus, except those of Bureau of National and Foreign Information, Bureau of Broadcasts and the Maharlika Broadcasting Corporation, are hereby transferred to the appropriate units of the Agency. Section 9. Implementing Order. The Director is hereby authorized to issue such orders, rules and regulations as may be necessary to implement the provisions of this Executive Order; Provided, that approval of the Ministry of the Budget and Management is obtained relative to the new staffing pattern including appropriate salary rates, the organizational structure at divisional and lower levels and the alignment of existing appropriations. Section 10. Repealing Clause. All laws, executive orders, proclamations, rules and regulations or parts thereof which are inconsistent herewith, are hereby repealed or modified accordingly. Section 11. Effectivity. This Executive Order shall take effect immediately. Done in the City of Manila, this 24th day of December in the year of Our Lord, nineteen hundred and eighty-six.